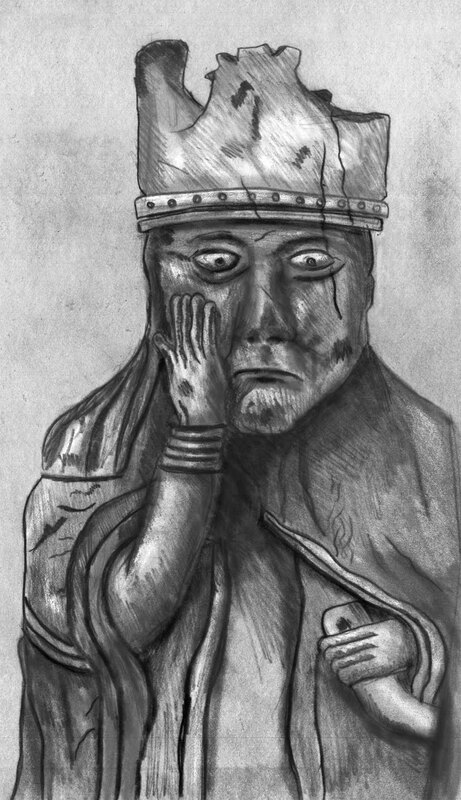 The second sketch that I’ve done of the Lewis Chessmen. This, as with the previous image, was illustrated using pencil. Less of an experiment and more of a departure from life drawing.